Fr. Alphonsus A. Trabold, O.F.M. "I've been interested in magic and witchcraft and the occult, both from the point of view of the paranormal powers and history." The Rev. Alphonsus Trabold, O.F.M., could greet people with a hug and a sermon on the inspirational love of St. Francis and then segue seamlessly into his other favorite topics: the paranormal, demonic possession, and spooks of all kinds. [He] taught theology at St. Bonaventure for over 30 years before retiring to the friary in the 1990s. His most popular course, Religion and the Paranormal, explored everything from faith to psychic phenomena. Father Alphonsus - only half jokingly - used to leave the front row of his "spooks" class open in case any spirits wanted to sit in. He was internationally known in his field, writing numerous articles and contributing to Robert Pelton's "In My Name Shall They Cast Out Devils." Father Alphonsus was consulted on many paranormal cases, including the events that inspired the 1979 movie The Amityville Horror. He remained open-minded but skeptical, referring many of those about whom he was consulted to psychiatrists. "He was... very shrewd," said the Rev. Francis Storms, O.F.M. "He could tell exactly if they had some validity or were just fakers." Born in Rochester in 1925, Father Alphonsus grew up with a keen interest in the paranormal. "I suppose all kids kind of have an interest in the scary and the occult," he said in a 2003 interview. "I've been interested in magic and witchcraft and the occult, both from the point of view of the paranormal powers and history." 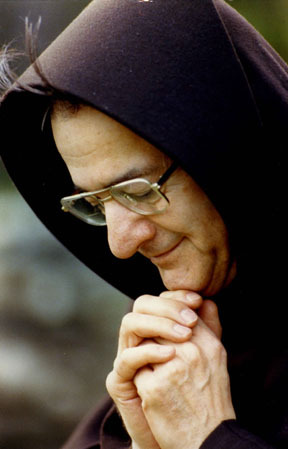 Also fascinated with religion from an early age, he joined the Franciscan order and was ordained in 1951. He never saw a contradiction between his twin passions. Indeed, he sought to integrate them. "Any power that we have has to ultimately come from God," he said in 2003, becoming animated as he warmed to his favorite subject. "That's to be understood. Otherwise, it just wouldn't be there. Very often, you will find that people associate any kind of paranormal ability - for instance, ESP - (with) something evil. I've had certain groups of clergymen of certain denominations condemn these things. They say it's the Devil. No!" - here his voice rose, strong and enthusiastic - "No, it isn't. It's just things we don't understand." He took his paranormal pursuits seriously, spending his life in the search to understand, but could also be irreverent. A former cigar smoker, he used a fake human skull as an ashtray. His fellow friars remembered a kindly, giving man with a keen sense of humor. "He was an incredible friar and was an absolute joy to live with," said the Rev. Thomas Blow, guardian of the St. Bonaventure friary. "His gifts of storytelling and his experience in the field of dealing with the paranormal will always be remembered. ... He helped shape our local community, as do all friars, into who we are. We will definitely miss him and his wonderful, gentle presence." In retirement, Father Alphonsus remained active in pastoral work and counseling and as a consultant on paranormal cases. He also enjoyed collecting and repairing clocks and watches. In his youth, he was an avid sportsman and held a black belt in Judo. Father Alphonsus was survived by two sisters, Vera Trabold and Ruth Moreland, both of Rochester; and many nieces and nephews. - Excerpt from The BonaVenture, written by Jim Miller, April 8, 2005. Created by Danielle Demetreu, History 495: Internship in History, Spring 2005 semester.